Hi, Damian Garbus here and this is next post in PoshStory category. I want to write my opinion. Why it’s so hard for many people to automate tasks? I meet a lot of people who have never think about automating repetitive tasks. I was wondering what’s the cause. Why we are not automating our tasks – 5 the most important reasons. Many people don’t care about organizing their tasks. They don’t use any of tasks management application like NOZBE. It’s the fundamental cause. To automate task one by one you need to list these tasks what you repetitive in a week, month or year. People don’t know about the possibilities of automation. Every week, people preparing the same jobs, eg. : reports in work and sending it to managers. 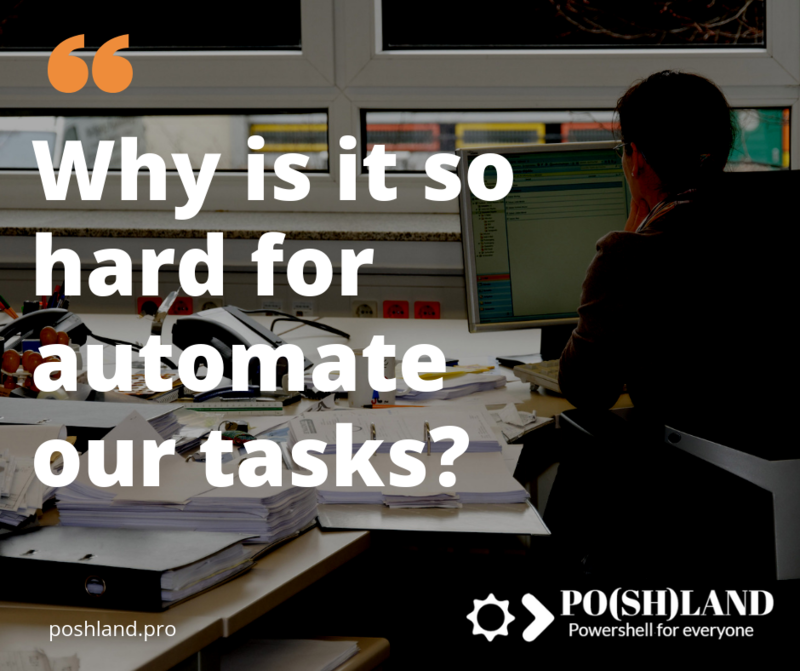 They don’t know that now they can use dedicated tools to automate their tasks. Every day, people do their jobs. When people must complete tasks on the same day, there is no time for thinking about automation. That’s true that usually, you need more time for preparing automation than the manual completion of the repetitive job. But if you create task automation one time, it will work for you long as you want. You can save time. Many of my friends don’t trust automation tools. If you create and run task automation, you can’t forget about control it. Sometimes you need to check and correct automation. You can do monthly or quarterly reviews to be sure that it works ok. The last reason, in my opinion, is the laziness. As I wrote in 3rd point build task automation need more effort, so people don’t do this. 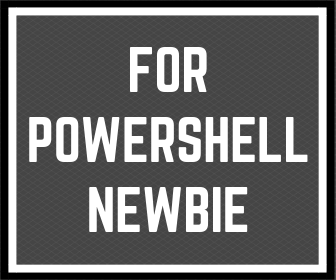 Many people don’t want to learn something new like Powershell. Conclusion – What can you do to change it? Everyone has a choice. Powershell is one of the best way to learn and automate your jobs. You can learn from the basics just now. 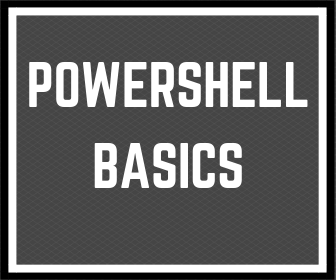 If you don’t know where to start, you can view my pages about Powershell for newbies and Powershell basics for everyone. If you are already the Powershell user, please let me know what do you think about Powershell for other than administrators and programmers? 2 replies to "Why is it so hard for automate tasks?" I’ve been using PowerShell fir 1.5 years. It’s the ugliest, most counterintuitive language I’ve ever experienced. And that have beena lot over the last 40 years. Plus it’s incredibly slow in executing and sometimes gives trouble because of some policies disallowing the execution of scripts. Double clicking scripts didn’t work either. The world would be a better place if this crap never had been invented. Thank you for a comment. Unfortunately, I can’t agree with your arguments. Do you really think that Powershell has no advantages?